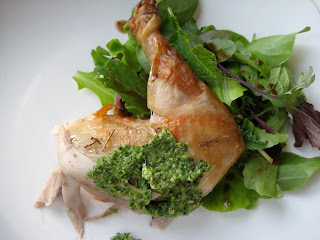 Roasted Local Chicken with Cress Pesto! A very tasty little hen was purchased at farmer's market last Friday, lending flavor and joy to recent kitchen creations. It first appeared at the table roasted with herbs and potatoes, our garden's first salad greens, and watercress pesto. Tonight it will make a second showing as a rich broth for soup. I am yet again grateful to East Fork Farm for raising animals with so much integrity here in the lush North Carolina mountains. You can taste the love! Blend watercress, nuts, sea salt, lemon zest, garlic and black pepper in a food processor. (Make a note to go light on the black pepper due to the cress's naturally peppery bite). With blade running, slowly add olive oil until paste forms. Smear over warm roasted chicken. 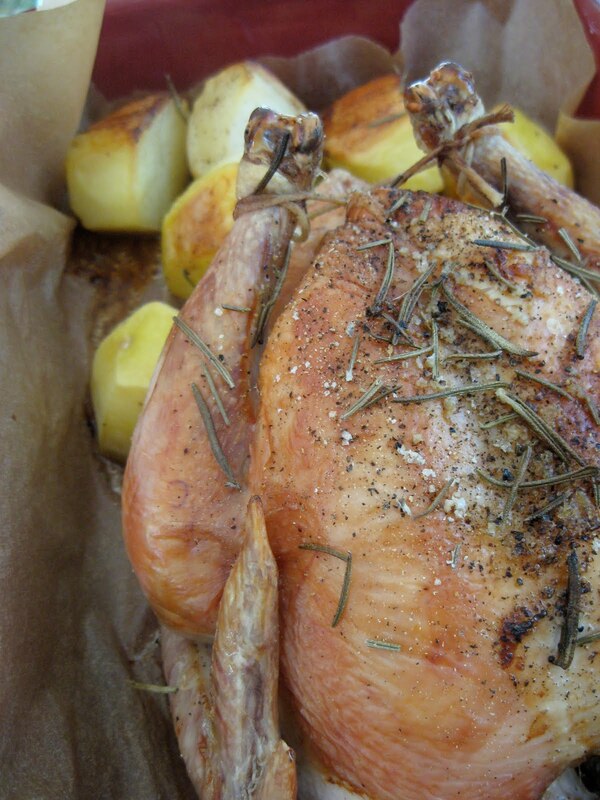 *For chicken roasting instructions, refer to January's "Lovely Roast Chicken" post. Yum YUm YUMMM!! Gorgeous photos, too! Thanks for posting! Oh thank you Cornelia! The pleasure is mine!